You can include links to your or your library's social cataloging pages in your profile box, including LibraryThing, Shelfari, and Goodreads. For each link you add, a corresponding book icon will appear in your profile box for that service. Patrons can then click those icons to view your pages. 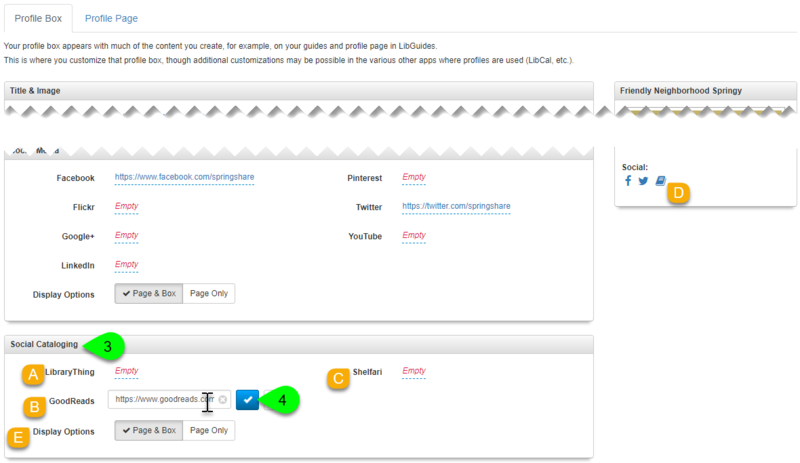 To display your social cataloging links in both your profile box and profile page, click the Page & Box button. Otherwise, click the Page Only button to only display it on your full profile page.